When 43002 was repainted into the original InterCity 125 livery in 2016, photographers recorded its every move, and of course I made sure I got a few pictures of the smart looking power car. However, this is the real thing, back in 1982, when most photographers (not that there seemed to be that many!) 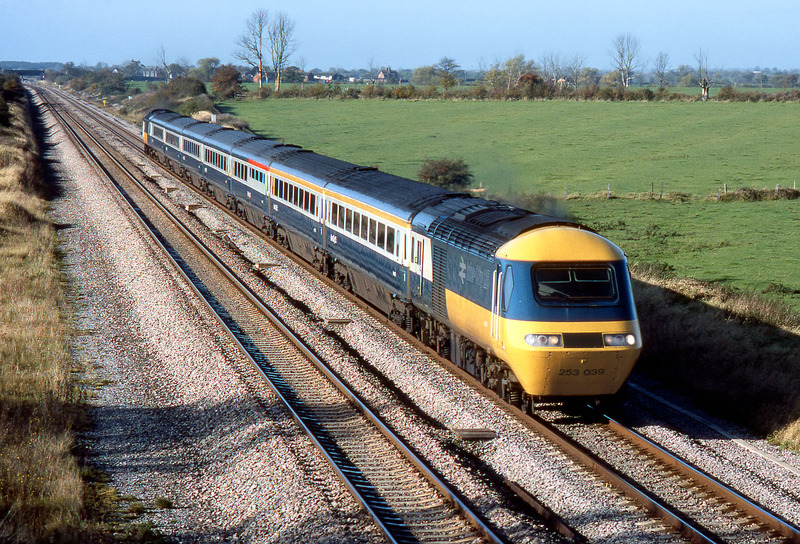 mostly ignored HSTs. 43147 leads the 1A05 09:20 Bristol Temple Meads to Paddington service on 27 October 1982, pictured at a barely reconisable Circourt Bridge, Denchworth. Two tracks, no wood in the background, a few surviving dead elm trees, and of course well over three decades away from any disfiguring overhead catenary!